A candy tax? The left side of the bus must always exit first? Girls must be the first served at restaurants? Legislate This! puts your students in charge as they work together to turn a Bill into a law. As of January 2019, Center Block of the Parliament Buildings will be closed to the public for renovations. In lieu of the tour, we have created a fun and educational activity for your student tour right on Parliament Hill! Your students will be split into our four parties with the largest group becoming the government, and one lucky student will be elected Prime Minister - choose wisely ;). This is where the fun comes in! Students will choose a topic, something fun that can be applied to the tour, and will participate in a debate that introduces them to the law-making processes of Parliament. Tour Leaders may use the new law throughout the student educational tour and points may be collected for The Adventure. Add Legislate This! 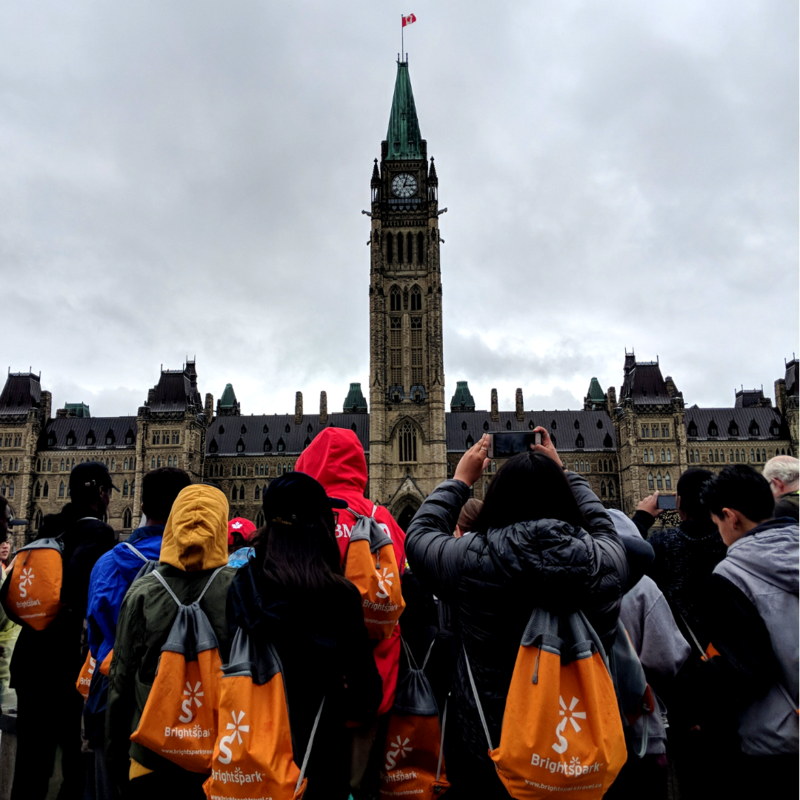 to your Ottawa student tour to get your class outside, working together and learning about our governmental process.